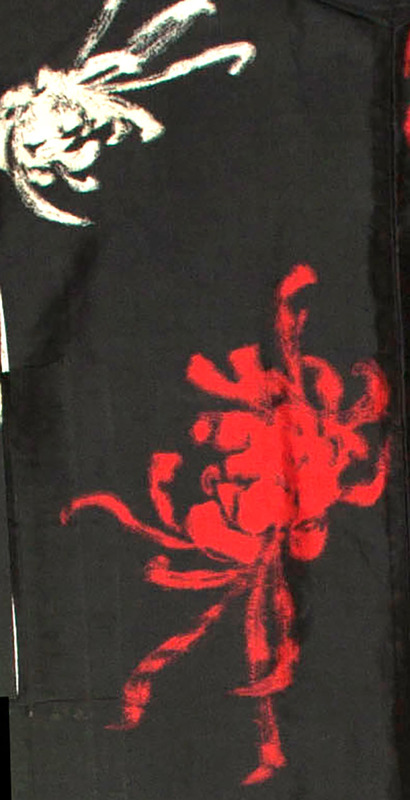 Kimoyes item: 22171 - Stunning black meisen silk haori with woven red and white chrysanthemums. 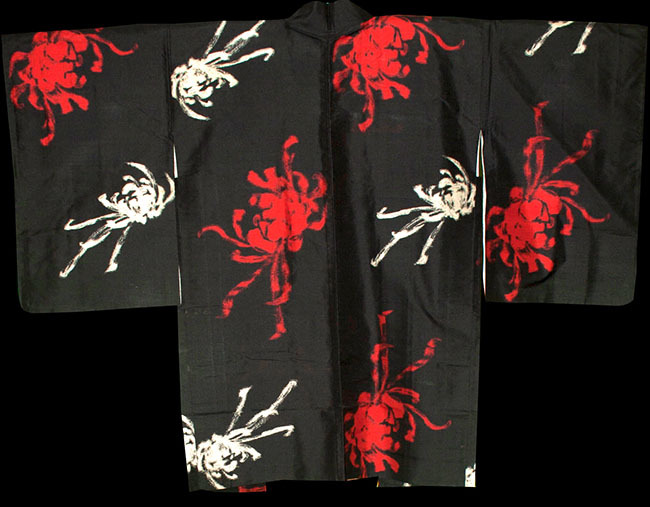 Stunning black meisen silk haori with woven red and white chrysanthemums. The silk lining carries through the same design on cream silk. 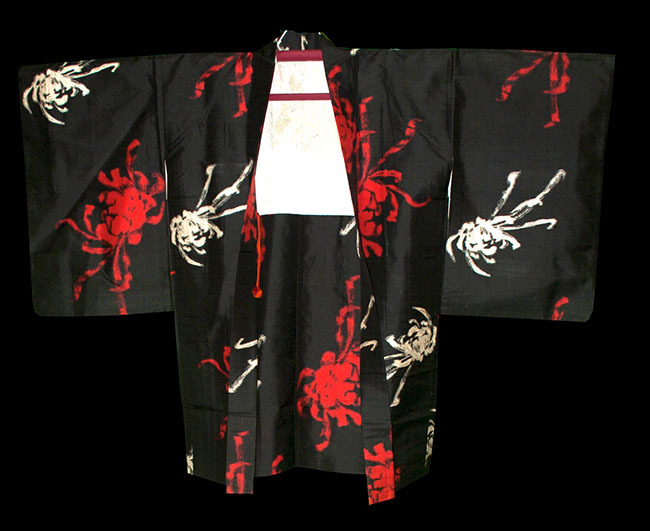 It has orange and silver haori ties. 37 inches long and 51 inches from sleeve edge to sleeve edge.